Six weird details we learned about Theranos founder Elizabeth Holmes. By now, the story of Elizabeth Holmes and her US$9 billion (AUD$12.7) fraud with company Theranos is well known. 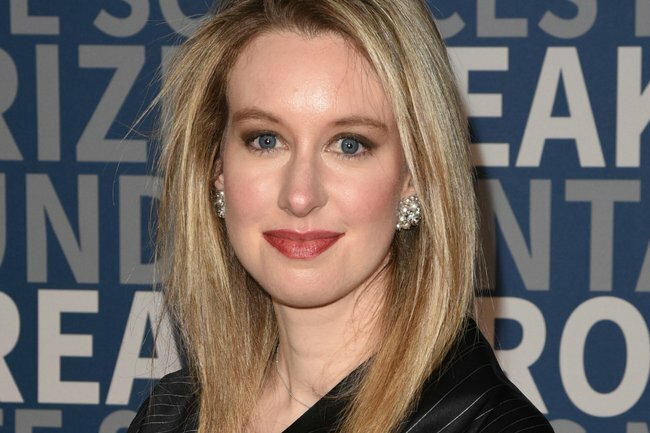 In a nutshell, the 35-year-old created a company based on a blood-testing device that didn’t work like she said it did, and in the process, she ripped off millions of dollars from hundreds of investors, including some of the wealthiest people in the world. Holmes has pleaded not guilty to the 11 fraud-related charges brought against her. There is, of course, far more to the story. And it’s only thanks to the various investigative news stories, podcasts and documentaries that we’ve been able to uncover the many details of this fascinating case. Some have been disturbing – such as the lengths that Holmes and her co-accused Ramesh “Sunny” Balwani went to covering up Theranos’ failure. Others have been downright strange. Elizabeth Holmes lowered her voice to be taken more seriously. If you’ve watched a video or listened to an interview with Elizabeth Holmes speaking, you’ll likely be struck by her baritone voice. It doesn’t seem to suit her. And now, we’ve learned, that’s because it’s not her “real” voice. The disgraced tech entrepreneur’s natural speaking voice is much higher and she trained herself – with help – to lower it by several octaves, according to HBO new documentary, The Inventor: Out for Blood in Silicon Valley. Fraud so good she believed her own lies. Why? Well, she wanted to be taken more seriously in a male-dominated tech industry – which some would say is fair enough. 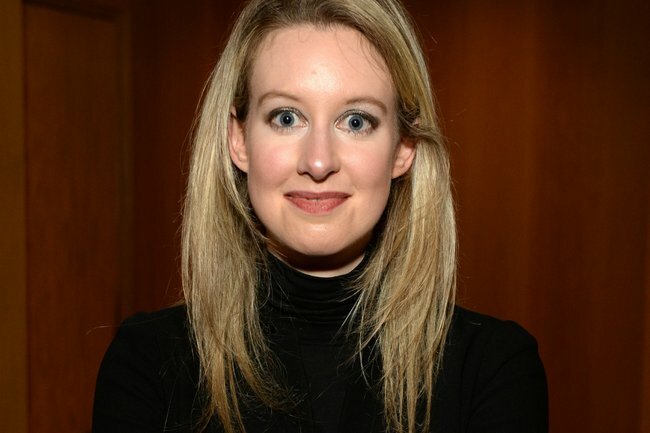 She was, after all, 19 when she started Theranos. Only in the context of mounting evidence she lied about so much else does it seem so jarring – and fitting – that she would lie about her voice too. Heck, even her blonde hair is fake. Old photos of her show she’s naturally a brunette. Holmes and her Chief Operation Officer kept their romantic relationship a secret. Elizabeth Holmes and Theranos’ Chief Operation Officer (COO) Ramesh “Sunny” Balwani met when she was 18 and graduating high school and he was in his late 30s. That age difference seems to be part of the reason why no one outside – and often inside – the company suspected that they were in a romantic relationship together. According to Bad Blood: Secrets and Lies in a Silicon Valley Startup author John Carreyrou, the pair actively hid their relationship from investors and board members. They only confirmed the relationship, which went on “for a long period of time” in deposition tapes that were published in January 2019, also confirming they didn’t tell investors. They’re not together now though. In fact, Holmes is engaged to “a younger hospitality heir, who also works in tech”, according to Vanity Fair. Holmes claimed her dog was a wolf. It is becoming more and more apparent that Holmes’ lies extend far beyond what her blood-testing machine, Edison, could do with just a drop of blood. Perhaps the oddest of these lies was that her pet Siberian husky was actually a wolf. According to Vanity Fair, as Holmes’ company faced serious trouble in 2017, she jetted off to Alaska and bought a nine-week-old Siberian puppy she named Balto. 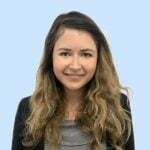 She at first claimed the dog – that she regularly brought into the Theranos office, despite hygiene concerns – “had a tiny trace of wolf origin”. But then she just started referring to her dog as “wolf”. Holmes was obsessed with Steve Jobs – but she tried to hide copying his outfit. Elizabeth Holmes in her trademark black turtleneck at a Vanity Fair New Establishment Summit cocktail party in 2015. Image: Getty. Holmes, whose company was worth US$9 billion (AUD$12.7) before its collapse, regularly quoted Steve Jobs and made it known he was one of her idols and inspirations. But when it came to the trademark black turtleneck she wore - just like Steve Jobs - she tried to hide that dressing like her idol had been her motivation for her work wardrobe. In a 2015 interview with Glamour magazine she claimed, "My mom had me in black turtlenecks when I was, like, eight. I probably have 150 of these." However, product designer Ana Arriola, claims on podcast The Dropout that Holmes actually dressed in "frumpy" jumpers before Arriola mentioned one day that Jobs wore black turtlenecks made by Japanese designer Issey Miyake. Low and behold, Holmes started wearing Issey Miyake turtlenecks as well. A scene in The Inventor will likely change the way any viewer listens to MC Hammer&apos;s U Can’t Touch This forever. Walking into a meeting to celebrate the fact Edison had been approved by the FDA to test herpes, the song plays and Holmes dances along. But weirder still is the next moment, when she asks the clapping crowd: "So what do you guys think about the FDA clearance?" And the crowd chants back "F*** you" to the "guys who are after us". It&apos;s the perfect illustration of why the organisation has been regularly compared to a cult. Bad Blood author John Carreyrou, who played a huge role in exposing Theranos as a fake, thinks that Elizabeth Holmes may just be a "sociopath" (the correct term is a psychopath), which is defined simply as a person without empathy. "When you’ve told that many lies over such a long period of time, and once the consequences of those lies are exposed, you’re unable to recognise you’ve done anything wrong," he told Vox in a 2018 interview. "And you’re conveniently blocking out the fact you may have done real harm to people with these faulty blood tests — to the point of digging your heels in and continuing to burn investor money on lawyers. He said he thought anyone with a "moral compass" would have admitted their wrongdoing when Carreyrou&apos;s Wall Street Journal story first accused the company of fraud in 2015. "Someone who is not a sociopath would say, &apos;Whoa, this has gone off the rails. I should publicly apologize, do everything I can to make things right and return the money I still have in the bank to shareholders&apos;."